Serious Chinook action on the Duck. Last week a friend of a friend caught this monster. Lots of fish coming up, Chinook, Coho and Steelhead are all in the river right now. Today the river was blow out after some heavy rain that hit yesterday. The water was high, muddy, and running really fast. Best bets, are to hit the deep slow current holes right now, until she clears up a bit. Defiantly plenty of fish in the river though saw a couple beautiful fish jumping. The hard part is getting to them with the river in the shape it’s in right now. This is concludes our 2014 Sol Duc River Fishing Report. Lunker’s Guide 2014 Sol Duc River fishing report! 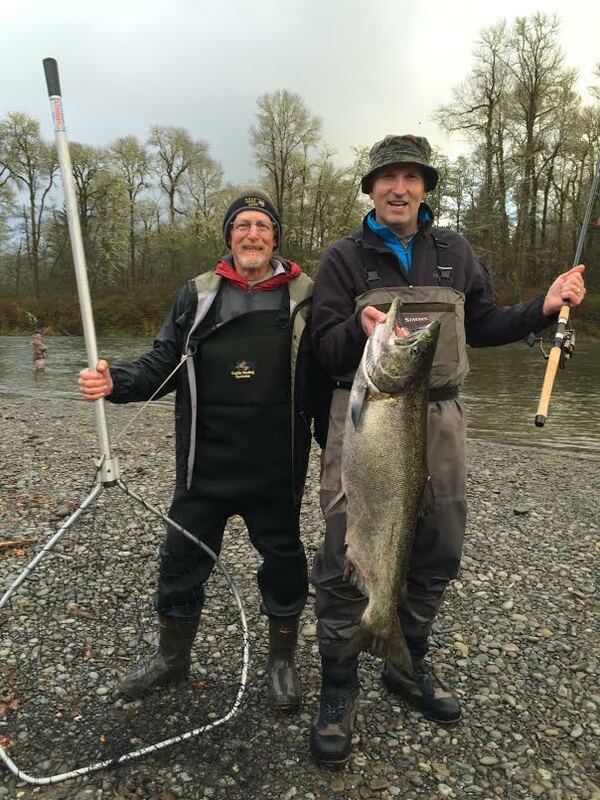 Click Here for more Sol Duc River fishing reports!